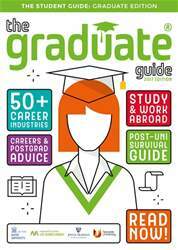 HOW DOES POSTGRADUATE STUDY DIFFER FROM UNDERGRADUATE LEVEL? During your undergraduate degree — third year in particular — you would have increasingly been given more independence and ownership with your learning. Yet there would still have been set frameworks for you to follow, and dedicated time to spend with your tutors to monitor your progress and to see what you needed support with. Whilst you will still have support and limited guidance as a postgraduate, there is more of an onus on you to motivate yourself, set yourself tasks, carry out independent research and get the work done. Instead of learning more about previous theories and work people have done, there is a greater expectation for you to think for yourself and bring original ideas to the table.